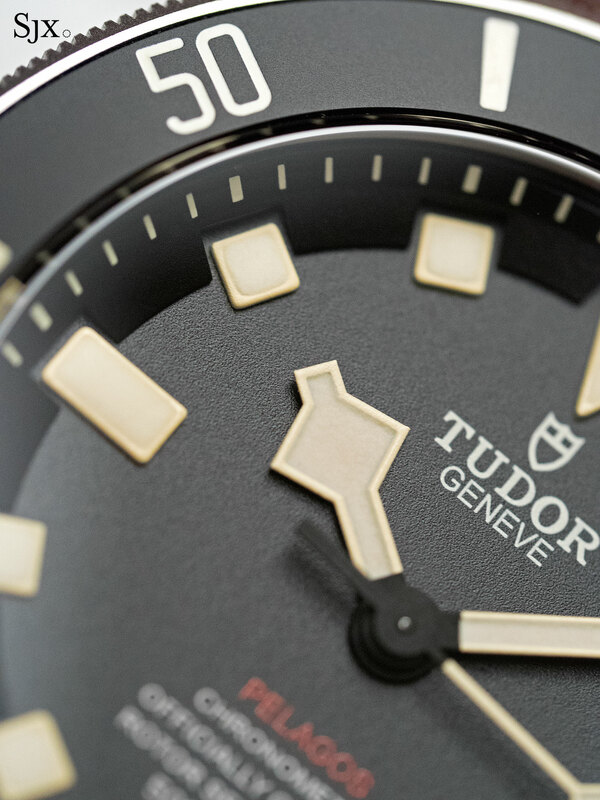 Tudor's latest dive watch is an affordable crowd pleaser. 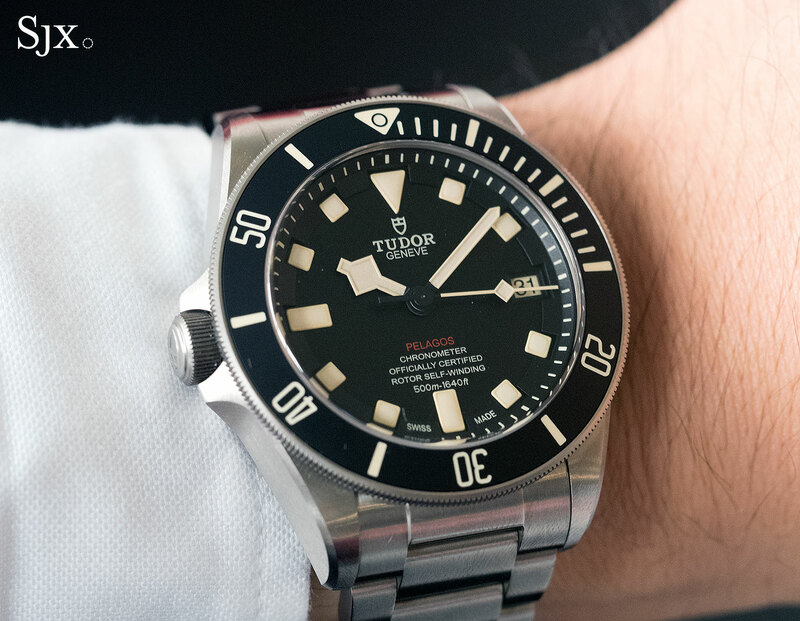 Introduced just last month, the Tudor Pelagos LHD was a surprise, despite the expectant rumours in the weeks before its launch. 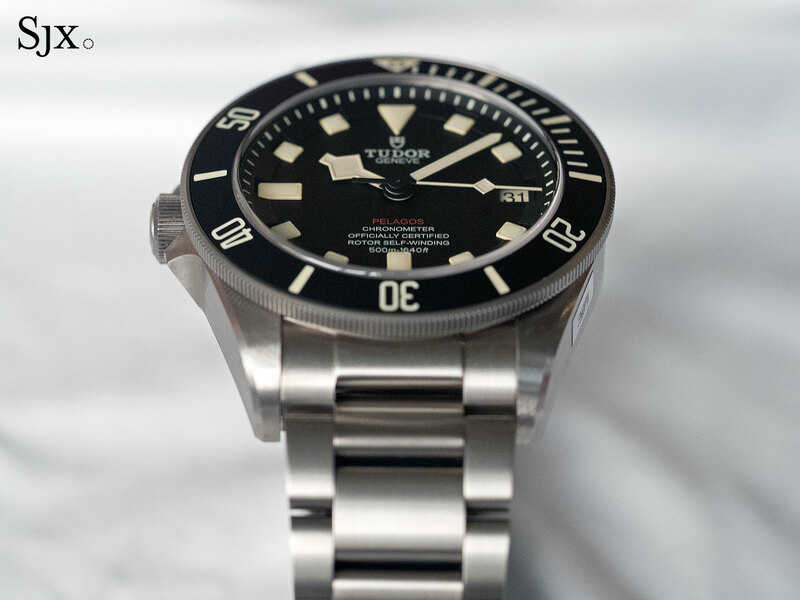 The Pelagos LHD – that’s short for “Left Hand Drive” – is essentially a souped-up, limited production Pelagos, the 500m titanium dive watch that’s the modern counterpart to the retro Black Bay. 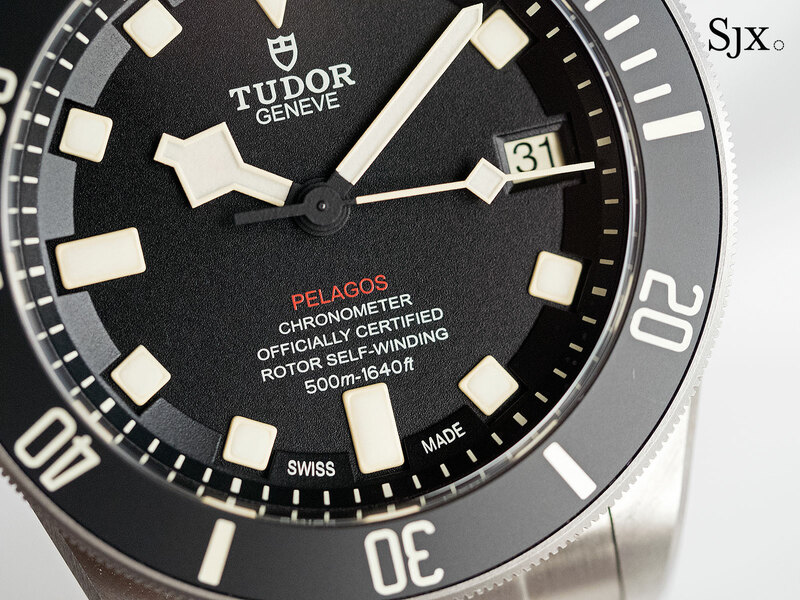 Notably, the Pelagos LHD dials back the contemporary styling, replacing it with the vintage-esque touches that make the Black Bay Tudor’s bestselling historical remake. A left-handed crown is its most obvious novelty, one that’s generally popular for sports watches (most notably on Panerai’s destro timepieces). 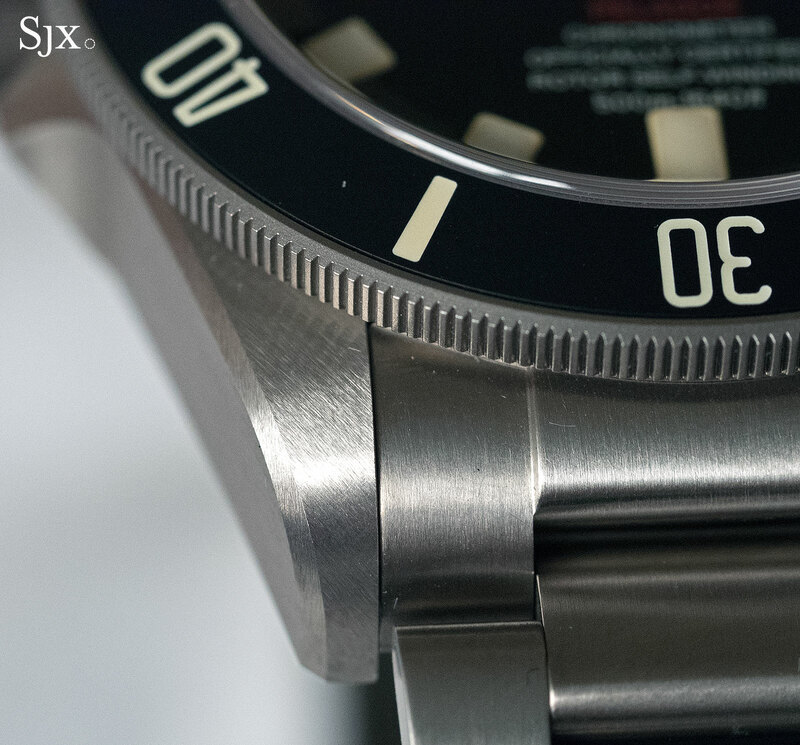 Inspired by the Submariner watches custom made for left-handed divers of Marine Nationale, France’s navy, in the 1970s, the left-handed crown is an unusual feature takes some getting used to on the wrist. Not so much for its impracticality, but the visual surprise of having it on the other side. While the crown has been moved, the case remains identical in size and finish. 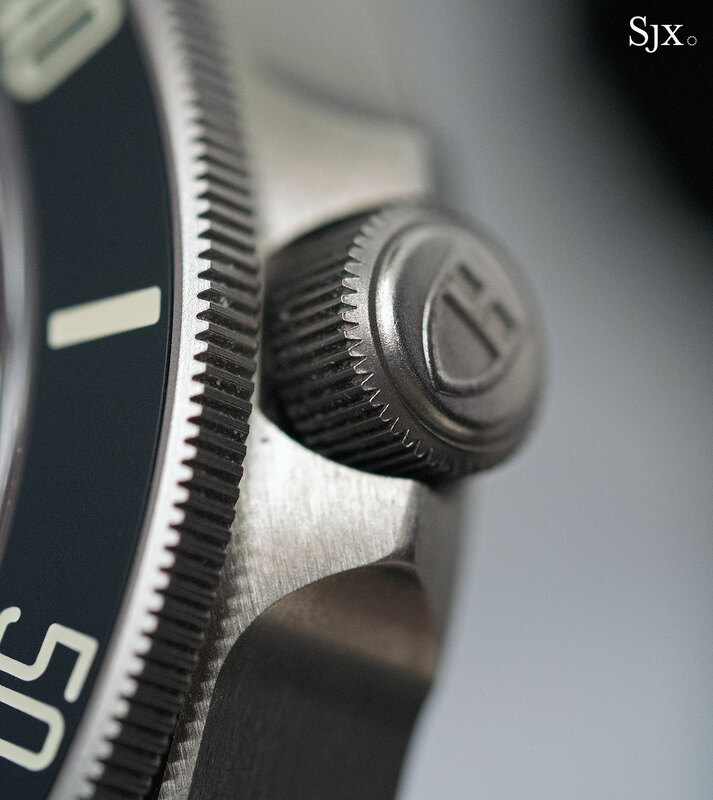 It is 42mm, titanium, and finished with neat brushing on all its surfaces – a pleasing degree of quality at this price. 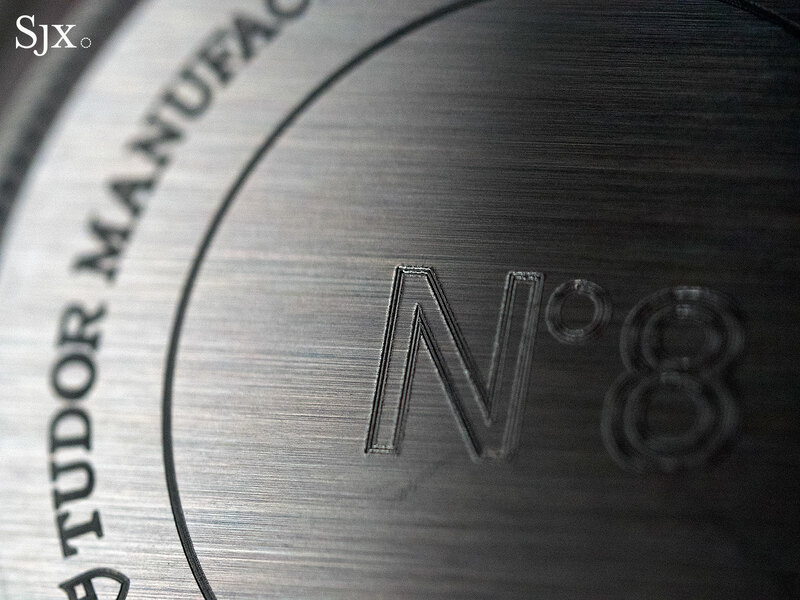 Another unusual feature of the case is the deeply etched, oversized serial number on the back. 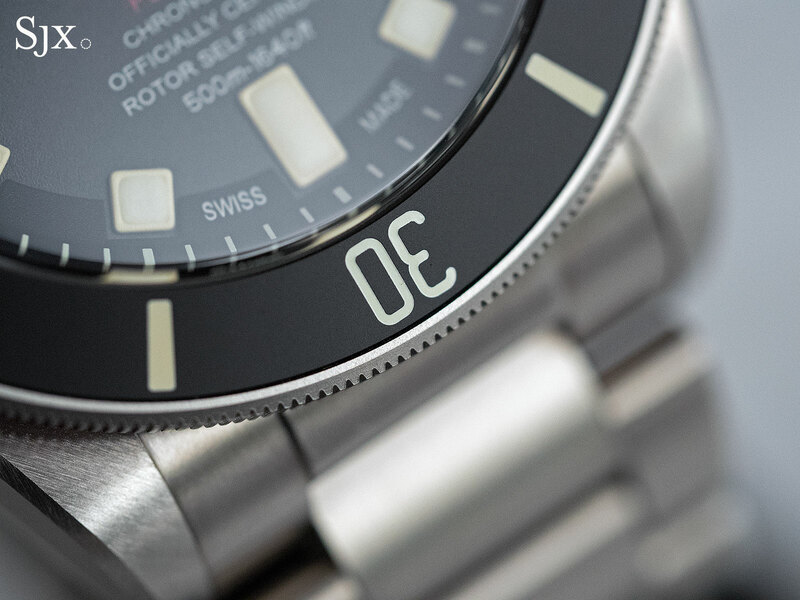 Each Pelagos LHD case is numbered sequentially, meaning the first watch that rolls off the line is “No. 1” and so on. 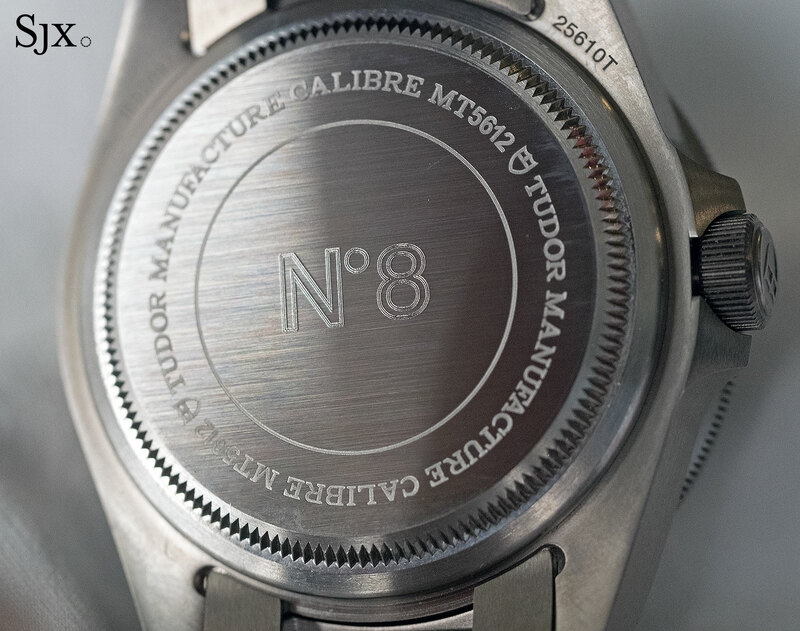 This contrasts with Tudor’s usual practice of an anonymous, indecipherable serial number that’s applied to all watches made. This doesn’t mean the new Pelagos is a limited edition, but the new numbering system is a certainly a detail that will appeal for aficionados, since it makes an affordable watch that much more special. 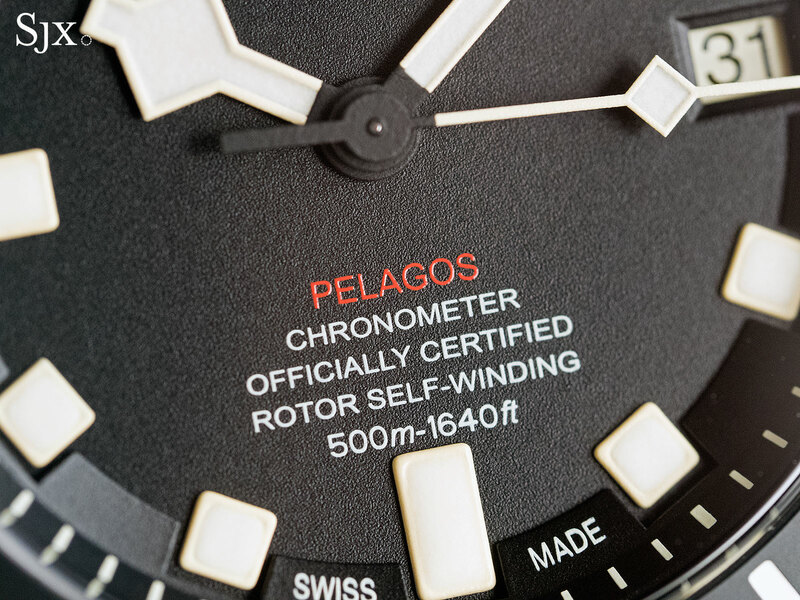 On the dial the retro styling is the most obvious, with a matte, grained dial with “Pelagos” prominent in red. Reminiscent of various Rolex dive watches of the 20th century, the scarlet lettering becomes the focal point of the dial because of its colour. And more red can be found on the “roulette” date wheel, named after the alternating red and black typography for the date numerals, which is yet another element taken from vintage watches. Despite all the vintage-inspired elements all over the watch, the beige Super-Luminova on the dial, hands and bezel is still a surprise. 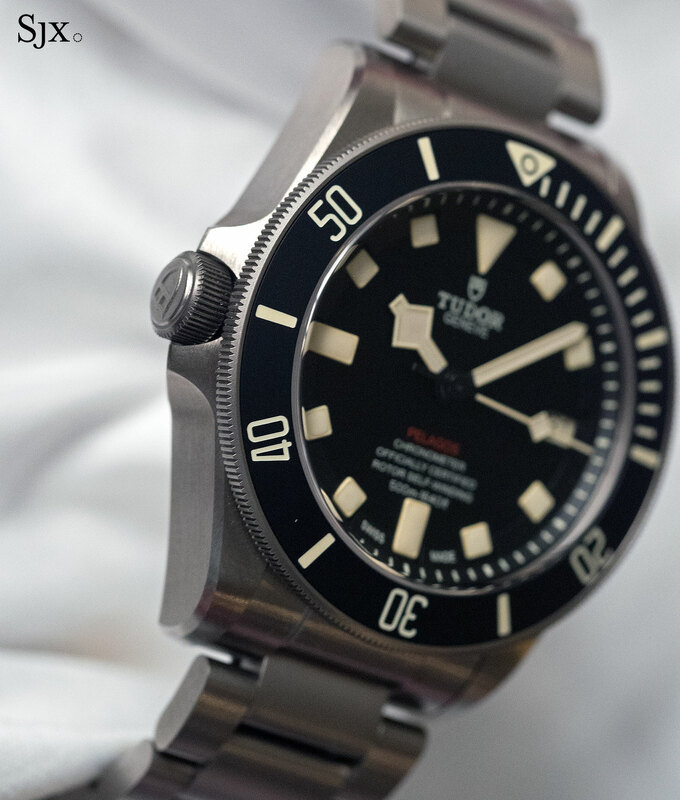 Meant to mimic the look of aged tritium found on vintage Tudor dive watches, the beige luminescent paint gives the Pelagos LHD the feel of the Black Bay, rather than the original Pelagos. The bracelet is exactly the same as that on the ordinary Pelagos, which is to say very good. 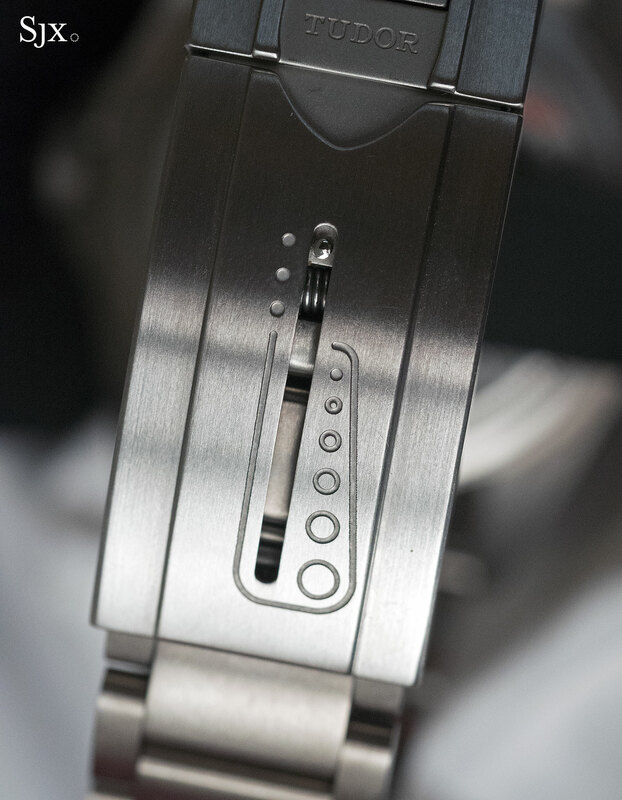 Most notably is the self-adjusting clasp that tightens to fit the shrinking wrist as the wearer descends into the water. As a package the Pelagos LHD is easy to like, being the right combination of modern features and finishing as well as vintage aesthetics. 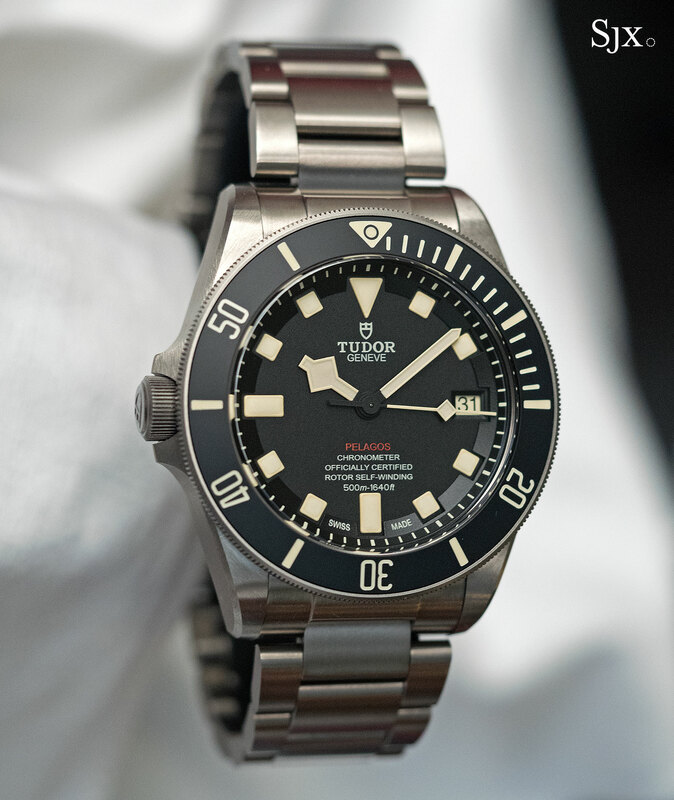 It is almost surprising how much of a crowd pleaser it is, given the historic stance of Tudor (and its parent company, Rolex) of being above the fray. 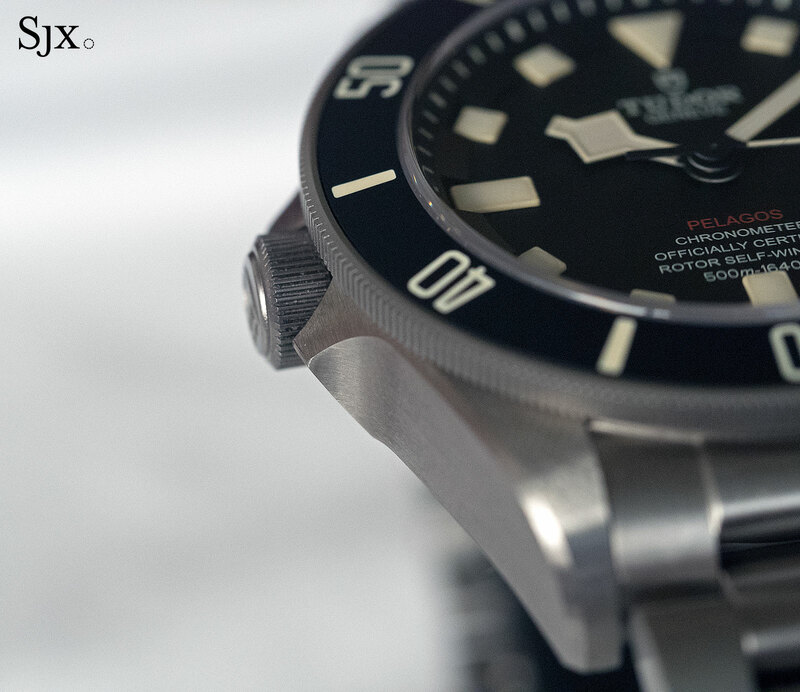 For what it costs, the Pelagos LHD ticks all the boxes. 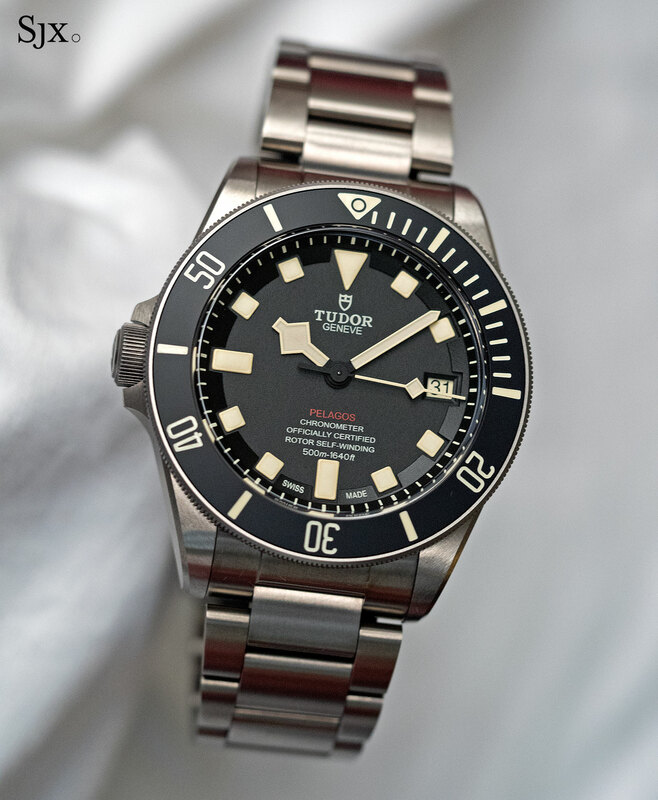 The Tudor Pelagos LHD (ref. 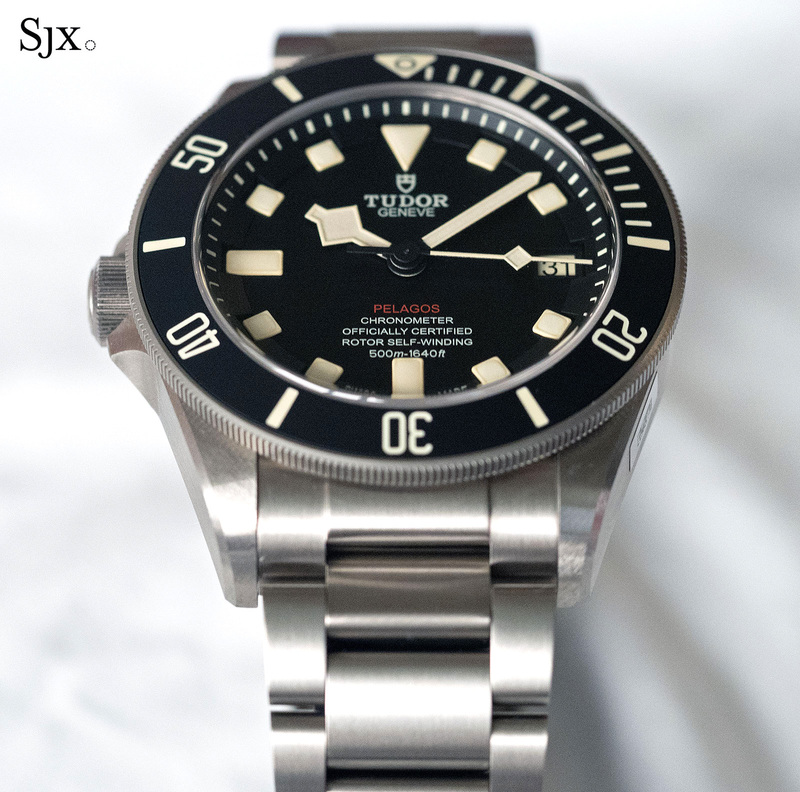 25610TNL) is priced the same as the ordinary Pelagos, which is US$4400 or S$6048. It is available now at Tudor retailers.